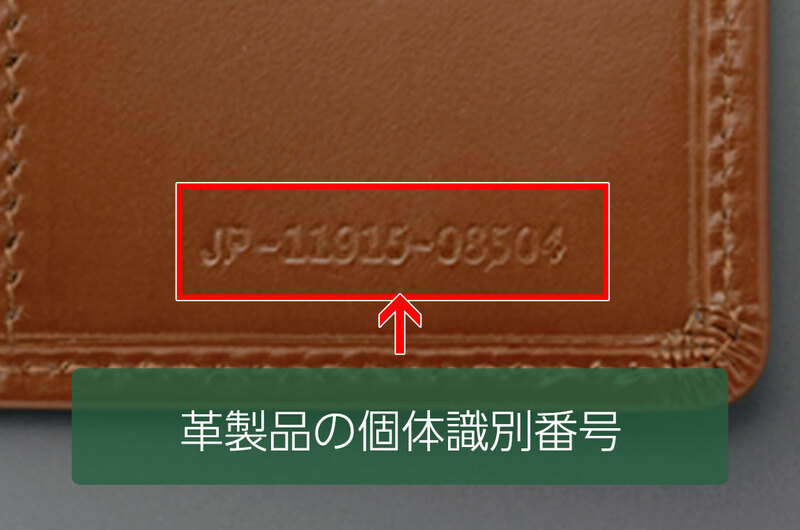 Individual information of Matsusaka beef can be confirmed by searching the number stated in the Matsusaka beef sticker or the number engraved on the product of Matsusaka Leather. 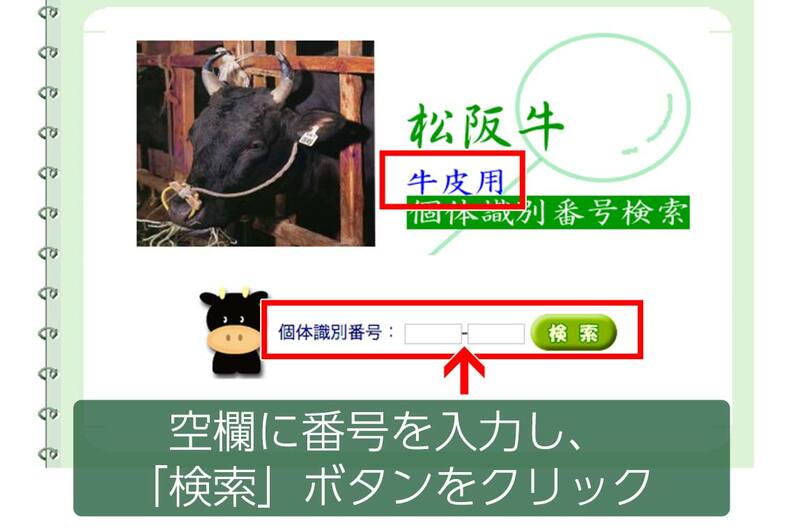 *You can not search for cows with no seal issued. 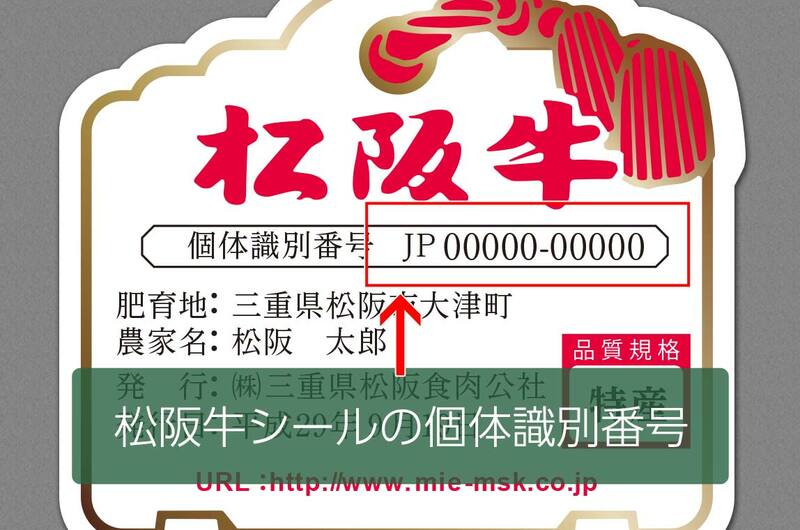 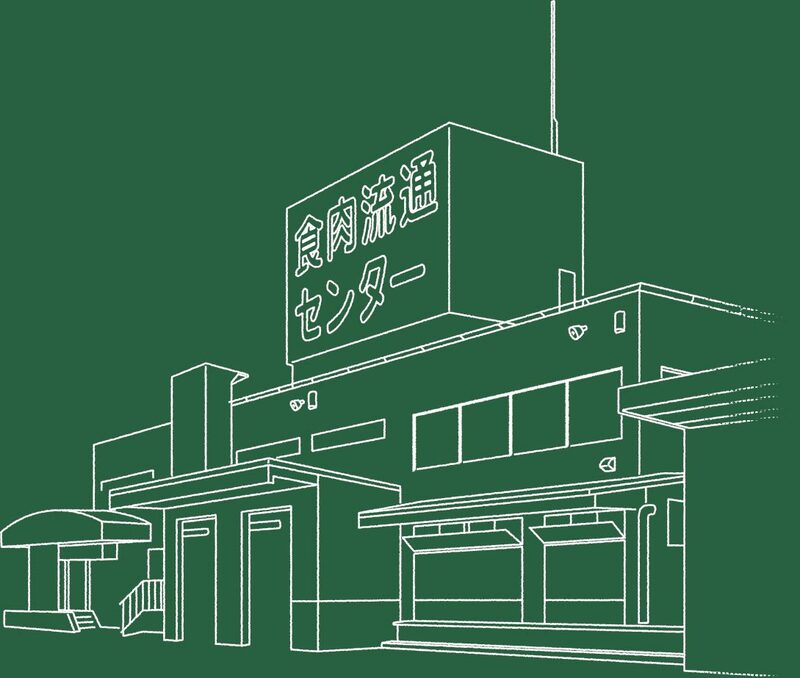 Mie Matsusaka meat corporation Co., Ltd.